The life of a couple totally changes when they become parents. Children are considered to be the biggest reward for a couple. After the birth of their child, the first and foremost priority is their baby. Almost immediately their happy-go-lucky world is transformed to a solicitous one. The face of responsibility totally changes in this phase of the parent’s life, their responsibility increases. Going on a trip with the kids require utter care, you need to plan and decide considering your kids. Thorough preparation is required before starting the journey. You need to pack all the things, your child may require. Here we have listed the top 10 must carry children’s essentials when travelling. Generally excluded from the stuffs to be carried on the trip, but blankets should be included when you have kids accompanying you. Long trips can be restless, especially the road trips. Carrying blankets for a night journey is a must. Soft blankets can help you to protect your child from cold, or it can also be used as a pillow whenever needed. Another important item to be carried on a trip with the kids is Water Bottle. If possible, please try to carry enough bottles of boiled water. For going on a long journey, carry some good quality bottles, such that you can restock them from time to time. Snacks are one among the most important things to carry while going on a trip, especially with the kids. Before starting your journey, you may not be sure about the food you will get on your way, so it is better to carry some food items for the kids. Also try to pack home made stuff, which can provide required nutrients to your kid. Don’t forget to pack your kid’s special treasure for your trip. Toys, are such things which relish the kids more than anything else. If your kids like playing with the soft toys, then you keep one or two soft toys according to your child’s choice. Carry one or two family games, so that you can also spend the quality time with your kids. At home, you have many ways to protect your kid from each and every probable insect and bugs. But handling and protecting kids when you are out of your home, an be difficult. So, always remember to carry mosquito repellents while going on a trip or a picnic with your kids. While going on a trip, don’t forget to keep some comics and story books from your child’s collection. Comics and story books are the best thing to engage the kids with, because these books are their best friends. These books can help you in dealing with your kids, whenever they get twitchy. 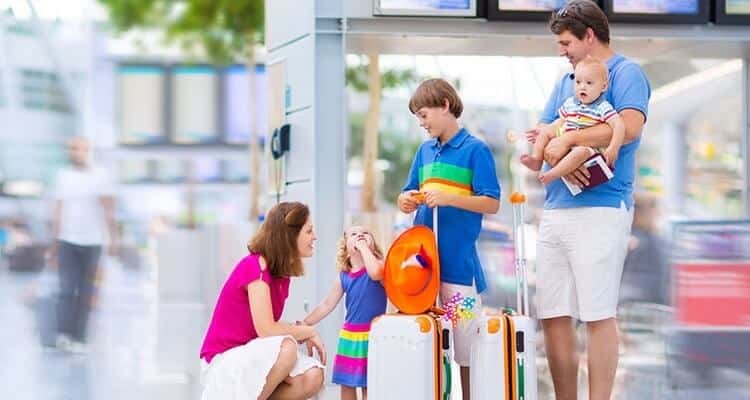 If you are planning for a trip with your toddlers, then don’t forget to keep the diapers because it is an ought to be carried essential for the kids. Your child would not convey that he needs it, but you ought to be prepared for the same. Carrying wipes is a must, even if your kid is long out of the diapers. You may need the napkins or wipes for cleaning out the public toilet seats, washing hands, etc. Also along with wipes and other such stuffs, it would be good if you carry hand Sanitizers. Generally toddlers don’t likeborders, they always try to escape from the eyes of the elders. Going on a holiday with the kids can become a scary event, if you are not much concerned about their safety. The technology has given a device called as child locator to a liberation for parents. With the help of this device you can keep your kid within your audible range, without much concern. The device includes a belt or watch kind of thing, which is used as the receiver and a remote used as a transmitter. Whenever your child is not around you, you can use this device to find him. First aid kit is also the one among the important stuffs to be carried on a travelling trip, especially while going with the kids. Make sure you have cotton, an antiseptic cream, bandages, basic medicines for motion sickness, stomach aches, fever, etc., in your first aid kit. You can also keep some flavored energizing powders. While going on a family trip, be it long or short, the food for the small kids is a must to be carried. Influencing toddlers with toys or comics is not possible for a long time, milk is essential to be provided. The perfect way carrying is to take a thermos with hot water and milk, so that you can prepare food for your child anywhere, anytime. Carrying chargeable water heaters for preparing porridge for the infants should be preferred. Also, don’t forget to keep some candies as well. Previous Previous post: Top 10 Dangerous Spiders in the world! Leave a comment on Top 10 Theories about the Bermuda Triangle!